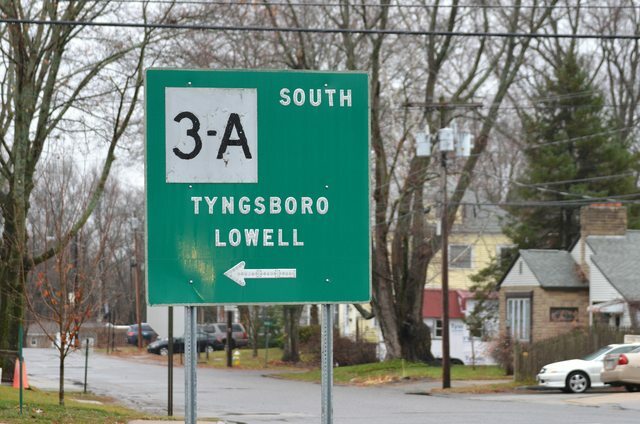 Doing an impromptu road trip to NH, any button copy or old shields? 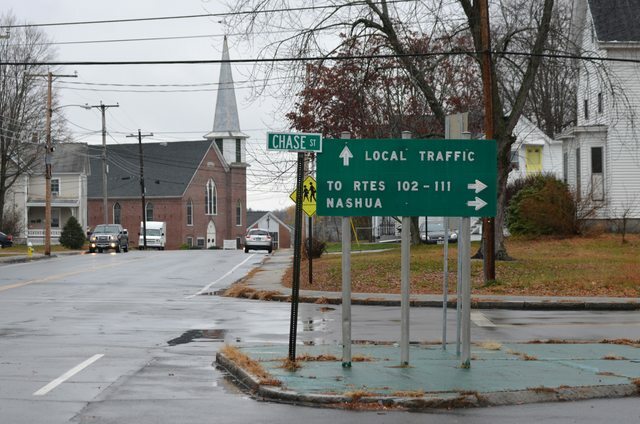 Across the river from Nashua in Hudson, there are a few cool old button copy signs right in the center of town. These pictures were taken by me in November 2015 though, so I'm not sure if they're still there. 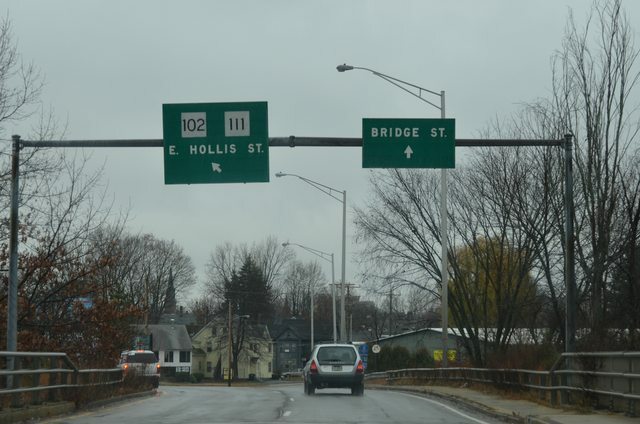 The first few photos are along NH 3A (Central Street) where it turns onto Chase Street. 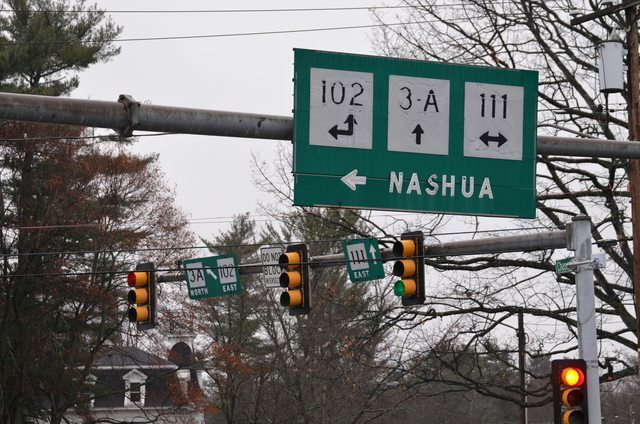 About a block north of the above photos we have these signs at the intersection with NH 102 (Derry Road) and NH 111 (Ferry Street). The bottom two photos are closeups of the signs in the background of the first photo below. Love the tiny button copy and the arrows in the shields! 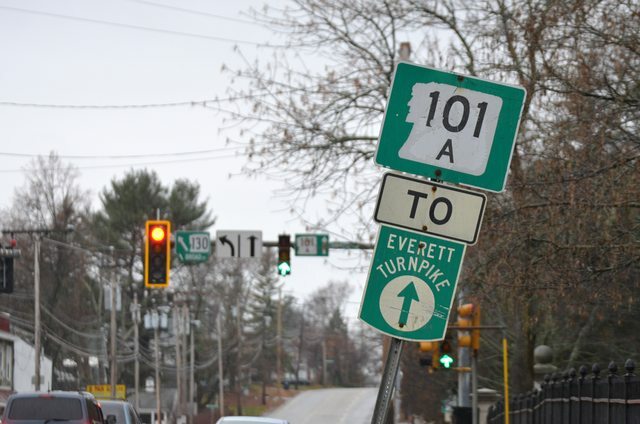 Lastly in Nashua, there's this old Everett Turnpike shield along NH 101A (Amherst Street) heading west approaching the NH 130 (Broad Street) intersection. I don't know exactly how old it is, but it's an outdated style. 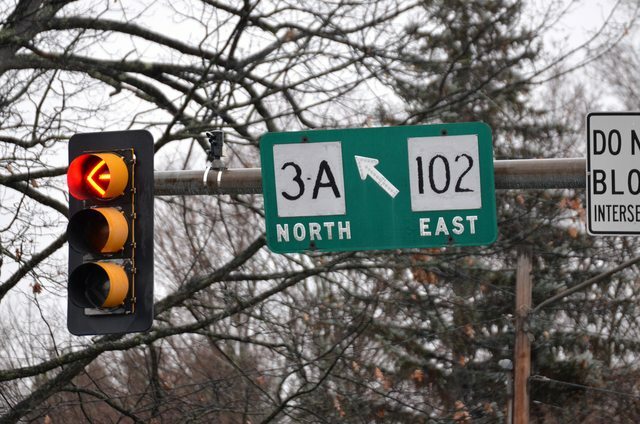 I'm not sure why the 101A shield is on the small LGS-style sign. 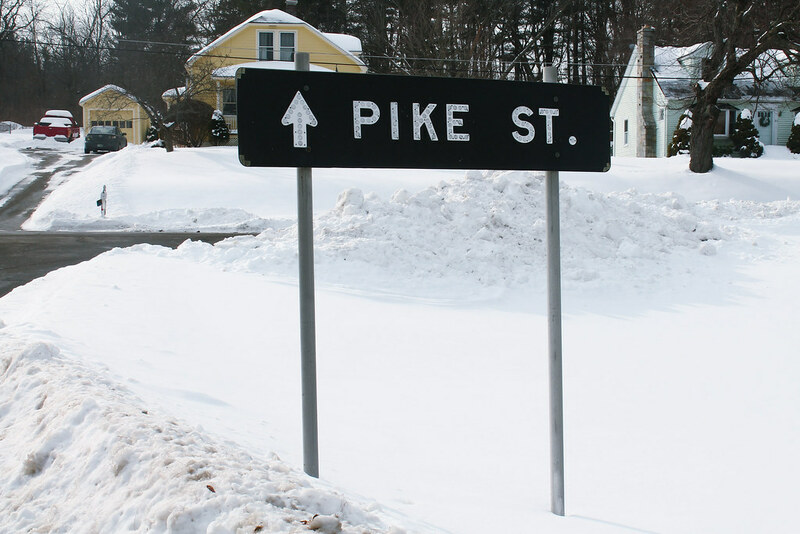 I had no idea that Pike Street sign existed! 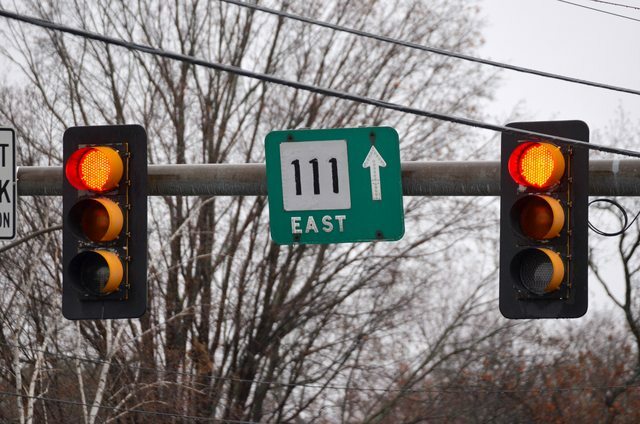 I would've stopped to see it a long time ago as I used to travel up the Everett Turnpike every summer up until a few years ago. It's still there according to the October 2015 street-view.